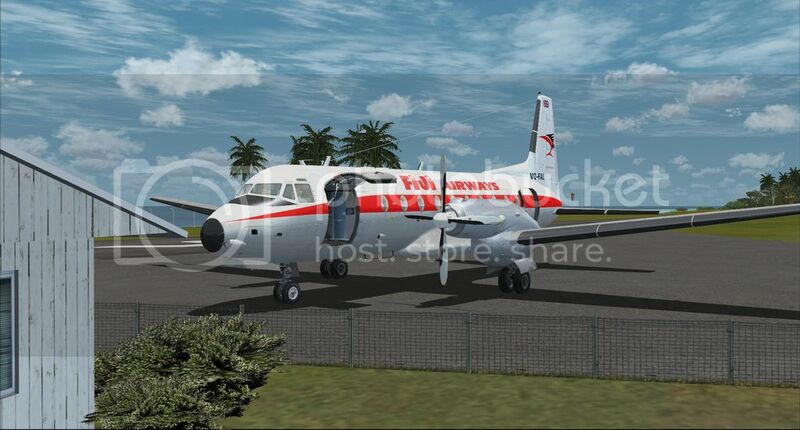 A single thread to collect available repaints seems a good idea and worked well for the F27 - thanks Bart. So if you've done a repaint, or find one out there for the JF HS-748 please post in this thread with a link and pic if possible. 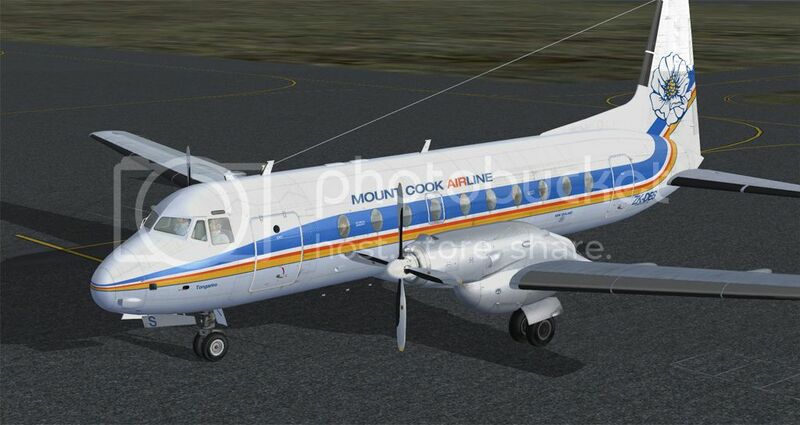 A later version of the Mt Cook livery for ZK-DES. 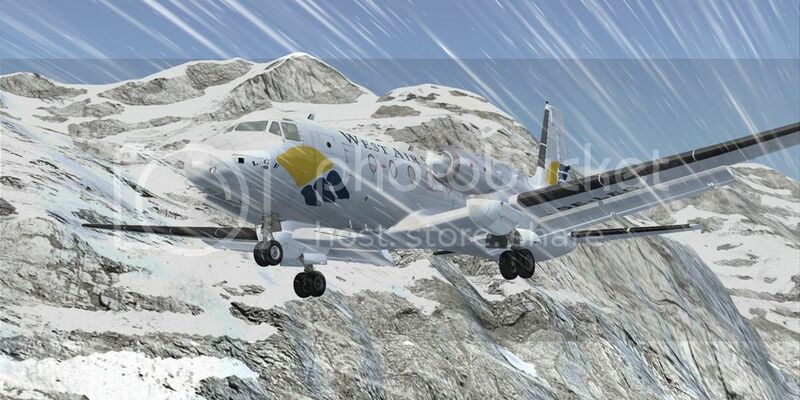 This was from the late 80's into the early 90's and was the last Mt Cook livery worn by the 748. "Now let's get this thing on the hump - we've got some flyin' to do!" Major Kong from "Dr. Stranglove"
And another of jeansy's military subjects and fulfillment of Timmy74's request. Here's one for the cargo haulers. 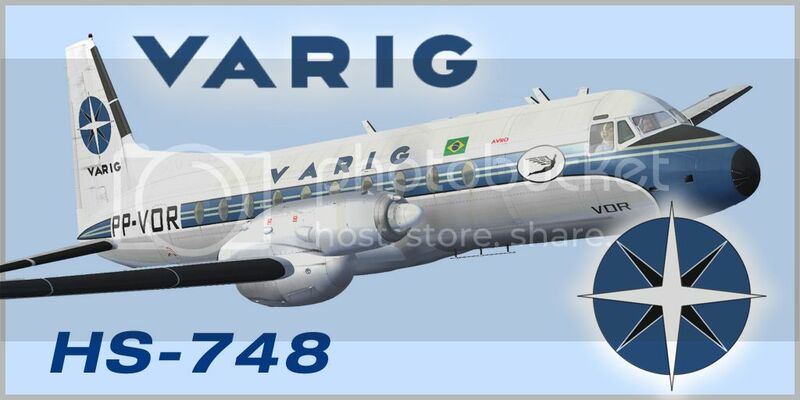 This classic livery was used by VARIG for over 40 years. And thanks Midnight Music for requesting it, I learnt a lot researching it. Hindustan produced the HS-748 under license in India. 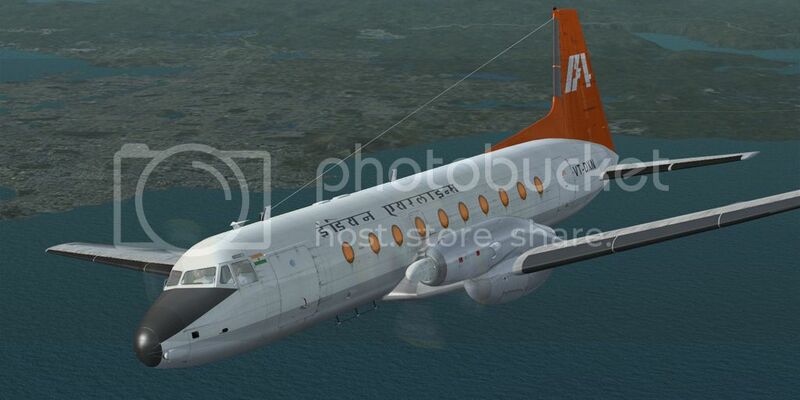 Seventeen were built for Indian Airlines and 72 for the Indian Air Force. This one is depicted somewhat grubby, towards the end of it's career and serving as a cargo hauler during the late 80's. The significant thing about this paint is that the subject and her 2 sisters make up the biggest fleet of still active HS-748s. 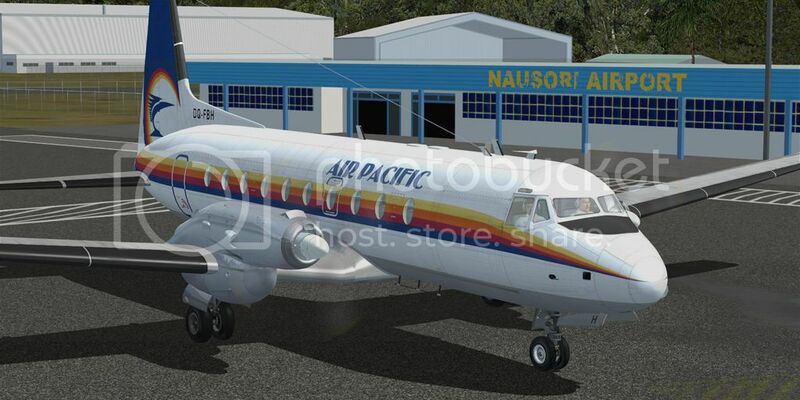 C-FFFS is a dedicated freighter, windows have been totally removed and I've painted the large cargo door (not functional obviously) that's a feature of the aircraft to the rear left fuse. Thank you for the repaints - they look wonderful! Thank you for your paints Crankpin they are all terrific! Thanks for your kind words Lee, hope you enjoy them. 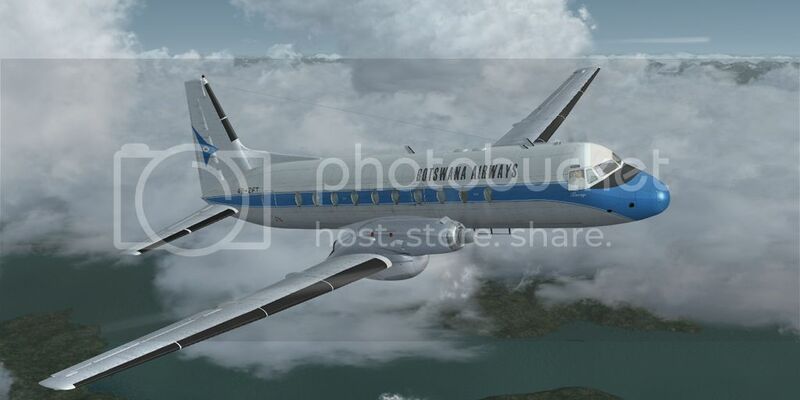 Crankpin, any thanks for the Botswana Airways skin.